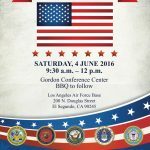 On 4 June 2016, at the Los Angeles Air Force Base, Gordon Conference Center, was made home to all Armed Forces Retirees arriving to receive resourceful information and respectful empowerment after their retirement amongst veterans, their families and friends. 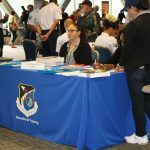 The 2016 Retiree Appreciation Day Expo at Los Angeles Air Force Base proved Resiliency is Learned for the first time in history. 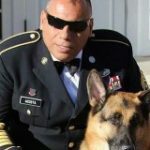 The voice of VAL OR and Key Note Speaker, Sergeant Major Jesse Acosta, USAR (Ret.) spoke to all branches of US Armed Forces Retirees at the EXPO to promote earned benefits from retired service with the spirit of camaraderie at the Los Angeles Air Force Base, Gordon Conference Center. The mission was accomplished to encourage Retirees and to introduce the digital age upon us to be self-empowered in the navigational pathway to our earned benefits once retired as we ushered out “The Print Age”. 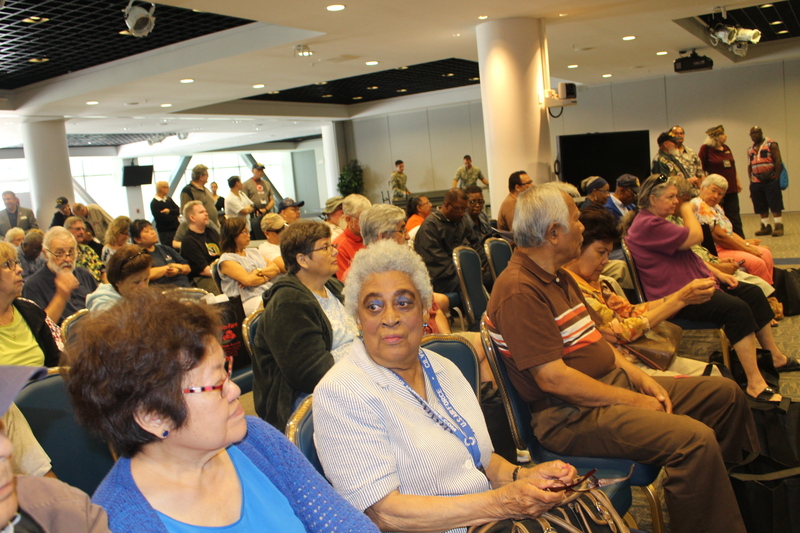 Retirees embraced an introduction to the electronic systems that will be used moving forward regarding Retiree Benefits in Housing, Health, Education and Employment and learned the expanded power of Ebenefits.VA.gov. 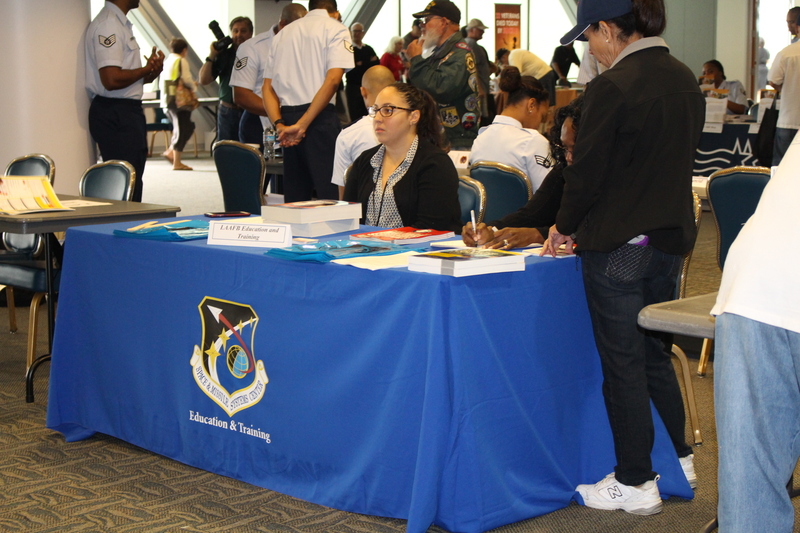 Retirees were provided with key experts, clinicians, speakers and swag while resource providers on hand to help our retirees to make claims, ask questions and to embrace the importance of social media implementation in a safe environment with introductory and advanced navigational support and guidance to follow as the Retiree Activities Office operates year round aboard LAAFB (RAO) to continue Educating Our Veterans and Retirees with knowledge and compassion in a generation that is primarily digital. The Expo provided a great platform for retirees to reminisce, have fun with raffles and to see fellow retirees from last year that look forward to attending to find the greatest advancements and updates with information followed by a generous luncheon, Base Exchange savings and a day of shopping with Retiree specials and a celebration of their service at the renowned BBQ luncheon made possible by vendors, sponsors, service providers and volunteers and music donated by KEARTH101. Be resilient. Always remember to Phone a friend, share a testimony as a Retiree and visit the Airman and Family Readiness Center if you need assistance. The Fitness Center, Commissary and Exchange are primary areas Retirees frequent and are welcome to study the USAF history by visiting the beautiful Heritage Center year round. 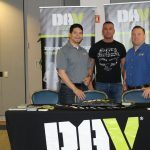 What a wonderful way to spend the first Saturday in June, with comrades we can have FAITH by conversation with one another as fellow retirees from all branches of military services and we are readily equipped to help with acquired knowledge from the RAO Expo. 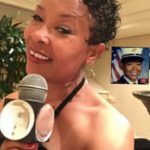 Each year, retirees are excited to meet and welcome the newest retirees into the fold and can keep in touch all year round, stay informed instantly now, all while using smart cellphones and laptops or home computers to transmit uplifting and important information. If you are interested, start by calling the RAO at (313) 653-5144 to get connected. 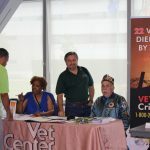 Get involved and become a Retired Activities Office Volunteer by joining forces with Retired, Active Duty USAF Personnel, familial supporters and key compassionate professionals willing and waiting to assist with your smooth transition from your Camies 2 Civies, i.e. 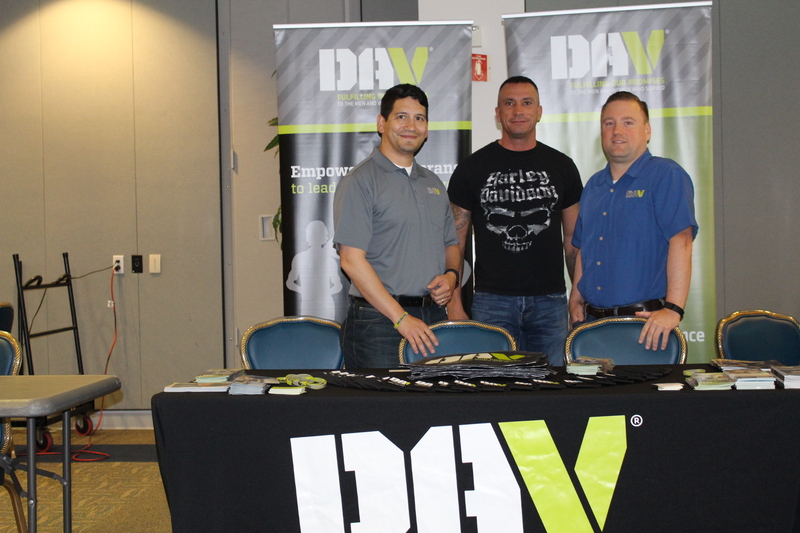 helping agencies, civilian professionals, medical professional. Thank you for your service! 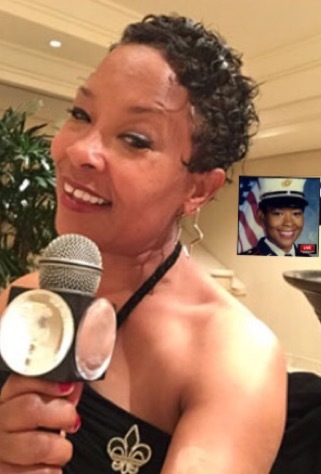 www.LATalkRadio.com/content/Christina-Silva-Show It’s easy to tune in and stay updated every Wednesday at 2pm on Channel 2 to learn and keep abreast of latest news and benefits on The Christina Silva show. It is a delight as your host to serve four years as your RAO Volunteer Representative and Community Outreach Specialist and United States Marine Corps Disabled American Veteran. Stay Tuned for Retiree Activities Office Digital Newsletters, Weekly News Bulletins, Facebook and information resources key to the Total Resilience our Retirees need to realize simultaneously in Health, Housing, Employment, Education arenas with Total Fitness, Recreation and Advocacy provided by volunteers that care. 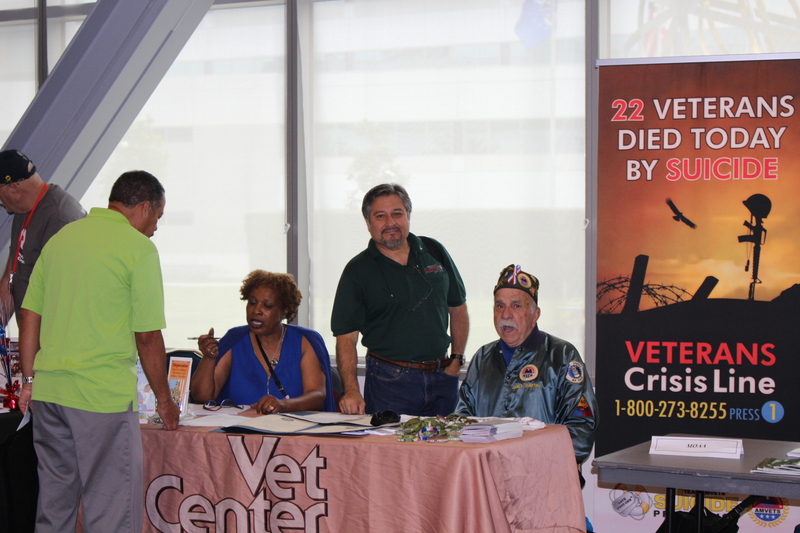 Visit us and join us at: On 4 June 2016, at the LAAFB, Gordon Conference Center, all Armed Forces Retirees were welcome to gather to receive resourceful information and respectful empowerment. 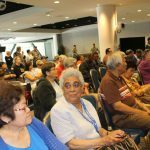 If you are ready to Get Involved and become a fellow Retired Activities Office Volunteer we invite you to share your knowledge with the populous at LAAFB, including supportive services. We are an extended family of volunteers willing to assist with your smooth retirement and transition from your Camies 2 Civies, i.e. helping agencies, civilian professionals, medical professional. All branches of service retirees, veterans and families are welcome to learn with us as we migrate digitally online! Stay Tuned for Retiree Activities Office Digital Newsletters, Weekly News Bulletins, Facebook and information resources key to the Total Resilience our Retirees need to realize simultaneously in Health, Housing, Employment, Education arenas with Total Fitness, Recreation and Advocacy. Monday-Friday 9 a.m. to 2 p.m.